Yak and Yeti in Animal Kingdom is not to be missed. It is located in the Asia section on the left as you head into Kali River Rapids. It has a quick service option as well as table service. Both are great. 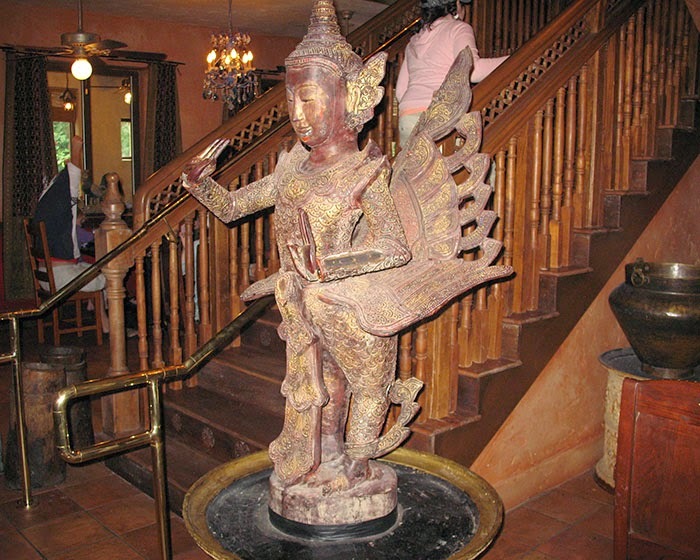 Take a few minutes before or after you eat to wander around the restaurant to take in the many intricate details. Nobody does a theme better than Disney and this restaurant is a prime example. The furniture alone is worth going inside to see. 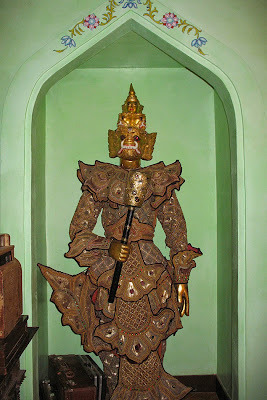 Posters, old photographs and statues adorn the walls and alcoves. When my family goes out to eat somewhere new, we order different entrees so that we can taste a variety of dishes. Our daughter loves lo mein. She devoured hers so there was notch sharing going on there. My husband's mahi mahi was fabulous. I got the seared miso salmon which was was delicious. Of course, our favorite part was the dessert. 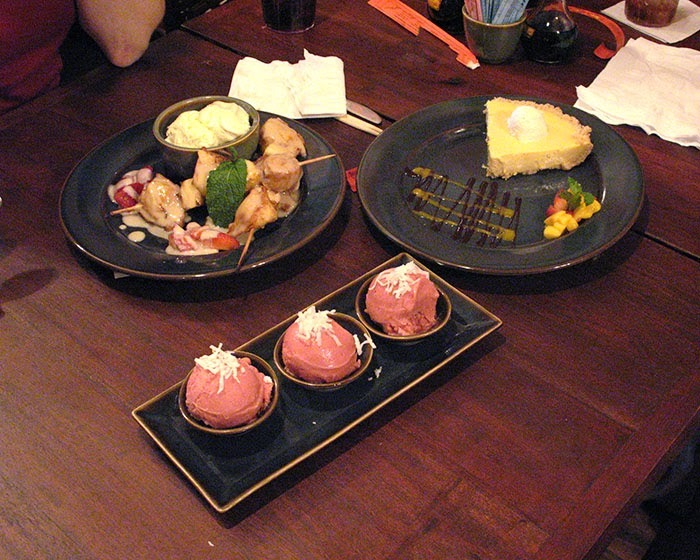 We tried the sorbet trio, the mango pie and the fried wontons. The fried wontons were filled with cream cheese and skewered along with fresh pineapple. Vanilla ice cream and a honey vanilla drizzle topped it off. My mouth is watering just typing this. Everything was delicious and beautifully presented. We had visited the quick service section on a prior visit. 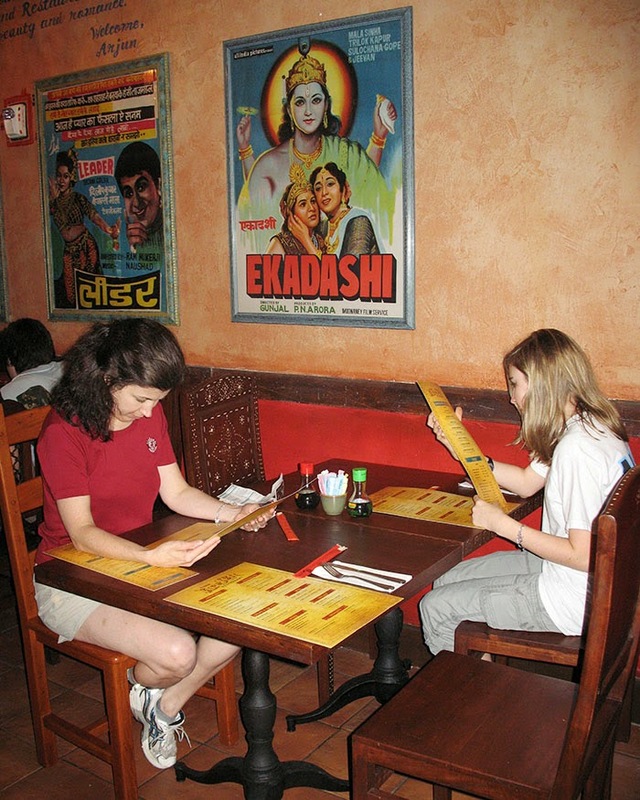 We recommend the beef lo mein, honey chicken, chicken fried rice and egg rolls. The service was quick and the portions very generous. Since we are in the holiday season, I thought a holiday tip would be fun. I have started a collection of Disney Christmas ornaments. I bought my first artificial tree and it is only Disney. Every time we go I will be buying at least one new Disney ornament. I made a tree topper out of our daughter's first set of Mickey ears. It is perfect! Thank goodness there is a Christmas store because my husband and I are headed back to the World in February!! We can't wait! It will be our first adults only trip. Perhaps another trip back to Yak and Yeti is in order!